When a Chandler single-family rental property has an automatic sprinkler system, it is likely to invite quality, long-term residents. But, sprinkler systems require to be managed and maintained as well. Just like any other part of a rental property, proper management and maintenance are necessary. Sprinkler systems would have to be winterized in the fall— they ought to be drained and turned off before the first deep freeze hits. And right after spring comes up again, sprinkler systems ought to be assessed for damage and then turned on right after all the vital maintenance or repairs have been accomplished. But who is in charge of these repair and maintenance tasks? It varies from landlord to landlord because this detail really depends on what terms are included in your lease. Many landlords consider the best policy to be having the tenants do all the work. They want them to perform the routine sprinkler system maintenance and turn them on or off each season. Others, however, would want someone to oversee the process since they’re looking at potentially extensive property damage. 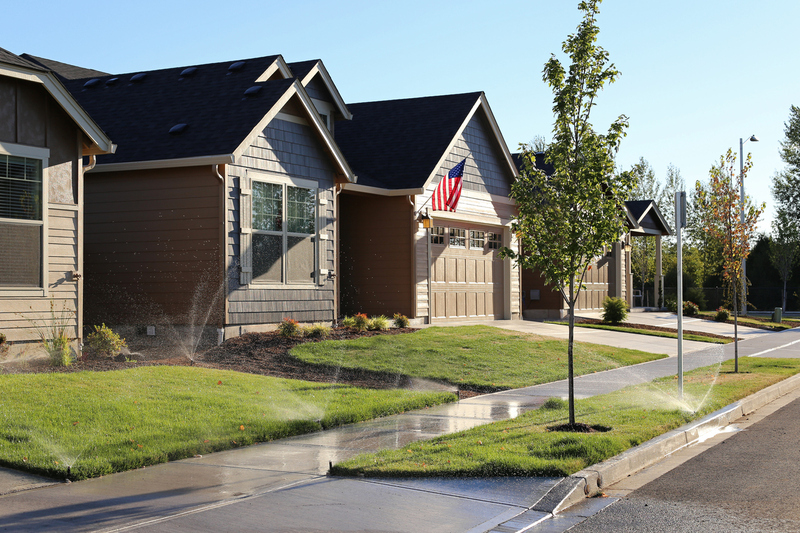 Broken sprinkler pipes can really run a number on your property, and a system that doesn’t work will make it nearly impossible for the renter to maintain healthy lawns or landscape features. There are tenants who have the skills to handle basic sprinkler system maintenance and even some repairs, but relying on them is still leaving it up to chance. If your renters disregard their responsibility to winterize the system, you could definitely end up with a flooded mess on your hands sometime later. Or, if they don’t have the expertise to fix a broken pipe or sprinkler head, they may leave lawns or trees to die. If you don’t want to do sprinkler system maintenance and repair yourself, your safest alternative is to employ a professional landscape company to complete it for you. By doing so, you are assured that the job gets done, gets done well, and gets done routinely every year. Disappointingly, not all landscape companies have good service and you will see that the costs can sneak up on you and add up quickly. At Real Property Management East Valley, we retain trusted professionals and preferred vendors who are ready to look after sprinkler system maintenance and repair issues. We make every detail our responsibility. We handle them by coordinating with your tenants and the landscaping company, scheduling sprinkler turn-on and off, maintenance, and repairs. Would you want to learn more about how we can work together with you? Please contact us online or call us at 480-981-7000 for additional information.